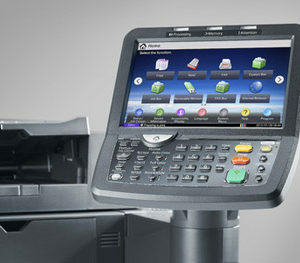 KYOCERA software platform HyPAS (Hybrid Platform for Advanced Solutions) expands your MFP’s core capabilities to simple touch-screen operations that address your unique workflow needs. KYOCERA software platform HyPAS (Hybrid Platform for Advanced Solutions) expands your MFP's core capabilities to simple touch-screen operations that address your unique workflow needs. Leveraging this technology, paper documents are cost-effectively routed into an efficient digital workflow, helping you control costs, secure processes and gain the competitive edge.